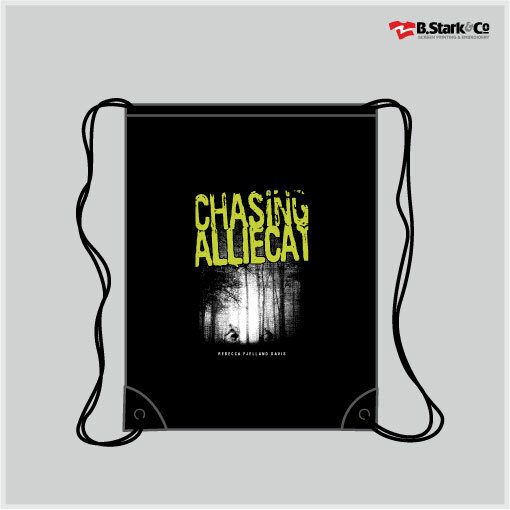 Google+ Reading Teen: Character Interview: Joe from Chasing Alliecat and GIVEAWAY! Character Interview: Joe from Chasing Alliecat and GIVEAWAY! you just playing it off? No, I wasn't playing it off. The fall was pretty scary, and it hurt. Actually, I was lucky 'cause the ground was soft after all that rain, so I didn't smack down like I could have. I hit wet leaves and mud until I hit that tree. I got scratched and banged up, but none of that is a big deal. But when it happened, I wasn't thinking about any of that. Everything just went out of my head when I saw Father Malcolm's feet sticking out from under that tarp. First I saw shoes, which was no big deal in the Junk Woods, but then I saw feet, and then I didn't even think about if I was hurt. Nothing else mattered. I really didn't think about it again until Allie took off to call 911. Then I took stock and knew there was no serious damage. I might have played it off to the girls if it were worse, but it wasn't bad at all. The whole thing just freaked me out. What was your first impression of Sadie? Did you know she was watching you from the window at The Blue Ox? I couldn't see her through the window, but I had the funny feeling that somebody was watching me. When I walked inside to pay, she was looking at me, and I thought "Wow." She was really cute. And shy. But full of life, if that makes sense. Sadie sort of vibrates with life, you know? And she doesn't think she's anything special to look at. At the time, I thought I'd probably never see this cute girl again, so I winked at her when I left 'cause I thought what the heck--I've got nothing to lose. When she walked into Scout's Last Chance all grimy after riding, I didn't even recognize her at first. Funny thing is, I thought she looked even cuter then, but she was all self-conscious because of how she looked that night--all sweaty and stuff. Maybe that's partly why she's so cool--she has no idea how cute she is. But part of why I like her so much is that she lives in her skin like she's comfortable in her body, in the world. That's why I love being around her. That night was quite the introduction to both girls, let me tell you. I'll never forget it. What is it about mountain biking that you love? There are a ton of reasons why I love mountain biking. One is that doing anything outside reminds me of John. I love flying along a gravel path or road and leaving everything else behind. If you could bike anywhere in the world, where would it be? Lots of people say Arizona, did you know that? But I've done that! So I would like to bike in France, I guess. Maybe everybody says that, but how cool would it be to ride some of those roads and mountains where the Tour de France goes? What is something you want us to know about you? Hmmm. This isn't about me, but I'd like everybody to know what a great guy my brother was. I'd also like to talk about being chicken. I like what Sadie's dad says: that if you don't have some fear, you don't respect danger. My brother didn't respect danger enough, and it got him killed. I think it's important to face our fears, but I think that respect for danger is important, too. Allie gives me a lot of crap for that like I'm too cautious, but that's the way I see things. What made you choose to play the saxophone? I didn't really choose it. When we tried out for band at the end of fourth grade, the teacher said I would be good on a woodwind instrument, and the sax seemed the least girly if you have to choose between clarinet, flute, and saxophone. My grandpa is really into jazz, and he used to play me his old CDs--and even some vinyl records of John Coltrane, and he'd talk about seeing Coltrane play. I liked that old stuff, too, so I that made me feel better about playing saxophone--for my grandpa. And I ended up loving it. What's the best memory you have with your brother? Our fourteenth birthday. Dad took us rafting on the Colorado River. It was crazy--scary, but so much fun. We hiked and camped, too. I think rafting is one of my best memories because John and I were equally scared. And the three of us had a blast on that trip. Comment below to be entered for the giveaway of a Chasing Alliecat backpack! To see my review click here! Also, Rebecca Fjelland Davis will donate one dollar for every meaningful comment on my review! Good Luck! Thanks for the giveaway! Sounds like an awesome book. Fun interview! Don't enter me into the giveaway. I just wanted to let you know that I enjoyed the interview! I read the book a week or so ago, and enjoyed it, so it's nice to hear more from Joe! Thanks for the giveaway! Book sounds very interesting! Great interview, sounds like a great book. Love the giveaway. I really enjoyed the interview. It was sentimental. I read your review, as well. It was interesting, no doubt about it :) I was looking forward to a book about teens in the wild, I like reading about those. Gotten used to the type, not enough to know what to expect, so I'm all for Chasing Alliecat! I think its very generous of the reader to donate a $1 to every meaningful comment on your REVIEW (which was wonderful, btw!). This was great, Kit! Good interview questions. Character interviews are always neat. thanks! Thanks for the great character interview, their always fun, you always learn some new personality trait of theirs.